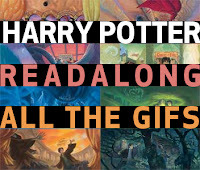 I have been participating in the Rebecca readalong hosted by Allie at A Literary Odyssey (a great blog that everyone should check out). I am also reading this book for the Gothic Reading Challenge. Oh, Rebecca, what to say! I'm not going to give a bunch of summary here, because there are lots of chances for spoilers and I honestly would not want to spoil the twists and turns for anyone, since I truly believe that they are the main reason that the book is worth reading...it is fun and suspenseful. I was pretty harsh in my last post on this book and I'm still not going to add it to my favorites of all time list, but I will say: I'm glad I read it. I ate up the second half of the book, and I don't really think there is a single reader participating in the readalong that didn't finish early. This is because the second half of the book is compelling and unexpected. I had assumptions about what was going to happen at the end of the book and I was wrong. Every new twist and turn surprised me and the book was a labyrinth full of secrets up until the last page. Terri at Bibliophilia talked about the narrator's identity in her first Rebecca-related post. Her thoughts stuck with me while I read the second half. The narrator in the story is a non-character. She is nameless and has no identity of her own for the first half of the novel (and through much of the second half). 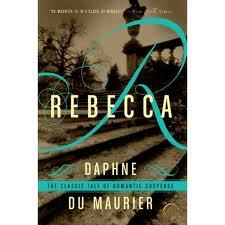 She is totally defined by others' impressions, not even of her, but of the previous mistress of Manderley, Rebecca. However, in the second half we learn that Rebecca's identity is also in question. Like at the fancy costume ball that marks the climax of the novel, everyone is wearing some kind of mask and it is only the creepy, skeletal Mrs. Davers who seems to be wearing her mask on the outside. Since the narrator has no identity, nothing to hide, she becomes the pure and innocent at the center, as the rest of the cast begins to reveal their identities around her. In the end, the book is fascinating and artful, if a little insular for my taste. The whole world of the novel is Manderley, and without a glimpse at the world outside, DuMaurier manages to achieve the claustrophobic and labyrinthine feeling that a Gothic novel requires. It does feel a bit claustrophobic--they hardly leave the estate, and it's like the narrator just can't get away from the memory (and her trumped-up image) of Rebecca. I'm not sure if this will stay on my keeper shelf yet. The beginning was hard for me but maybe I'll like it more if I re-read it sometime in the future. I read this one a few months back, so forgive me a few memory lapses...I thought it was interesting how we also begin to see the degeneration of character in the nameless character as well. As she delves into Rebecca's past, she begins to also put herself into certain situations she imagines Rebecca to have been (for example, lying about Rebecca's male cousin). Maxim catches her a few times, and even refers to the deceptive look she has on her face. Also, what kind of woman is relieved that her husband is a murderer, as opposed to loving someone else more? @Becky - I did end up having fun with it. It was a thrilling ending. @Katy - I'm back and forth as well, but I did find some interesting things to think about in the end. @Jenny O.- Yes, it is definitely a bit odd that she is relived, but it seemed to fit her character to me. Even before Maxim, she needed the support of someone else. She never stands on her own. I never thought of her lack of a costume at the ball like that, what an amazing point! Overall, as a literary technique, I really liked the narrator's lack of identity - kind of like Maxim just chose any woman in a vain attempt to make himself happy. And her lack of identity in the face of the ever-present Rebecca is a good contrast. Great post! !